Home / Books / Art / 3 American Graffiti. 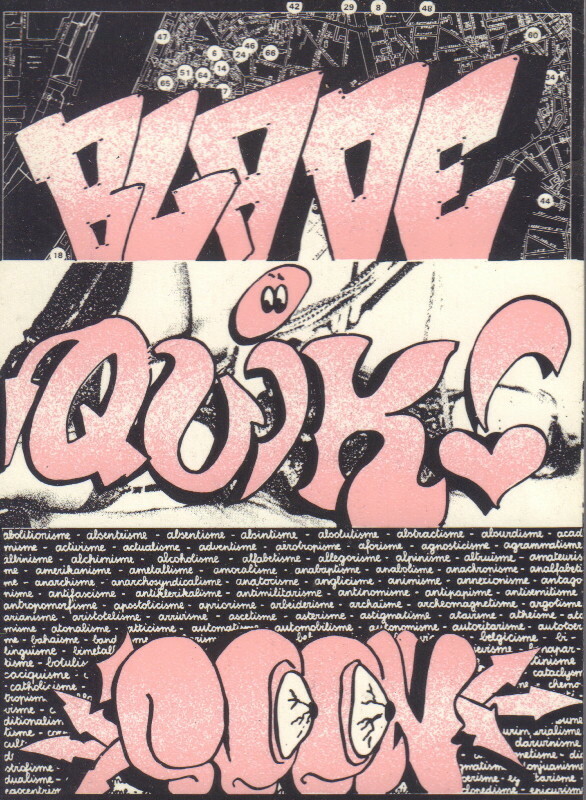 Blade, Quik, Seen. (Antwerp): Gallery Christ Delaet, 1988. 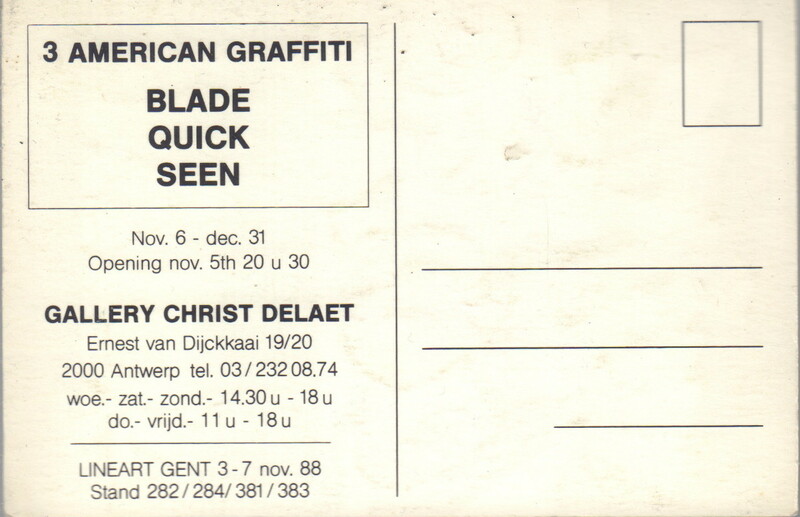 Invitational postcard for the opening night, (5th Nov., 1988), of the exhibition of New York graffiti writers, Blade, Quik and Seen at Gallery Christ Delaet, with ran from Nov. 6th – Dec. 31st, 1988. Card measures approx. 15cm by 10cm and is in very good condition.